This discussion will take a close look at Managed Pressure Drilling in the context of Winner or Also Ran. For those new to MPD, a brief overview will allow everyone to be on a common page. Deployment on land, offshore and deepwater will be discussed, with case studies of why it was deployed and if the objective was achieved. Further, each case will also interrogate additional benefits that surpassed expectations. Analysis of MPD failures will also be discussed, so the argument is balanced. On conclusion, the audience will be able to assess for themselves…..is MPD a winner? And if not, why not? 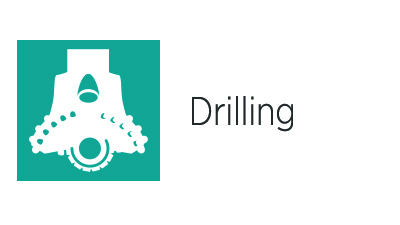 The drilling community are benefactors of fantastic technology waves that revolutionize how hydrocarbons are brought to society. Over the years, some tremendous step-changes have completely altered drilling and production strategies. Think about a few….. the Kelly rig….oh wait, the topdrive! Mud motors….. the bent sub, the adjustable bend motor, rotary steerable systems……motor driven rotary steerable systems! Milled tooth bits…..insert bits…..PDC bits…..steerable PDC bits……hybrid bits…..geometrical cutters on PCD bits! The list goes on, and clearly these evolutions are paradigm shifts. Others, however, never quite reach their promise. Coiled tubing drilling, expandable casing, casing while drilling, 6 levels of multi-lateral technology that only subject matter experts can keep straight……. What differentiates the winners from the others? Certainly, the math answers this question for most – dollars per foot. A quick run on the economics of the project and you realize why some made it and others struggle. If you dissect this question a bit more, you’ll realize the answer may lie in the beholder of who holds the calculator. The drilling engineer can easily weigh the cost-benefit analysis against an AFE. Some of these technologies deliver benefits that reach beyond the drilling engineer’s budget, though. Reservoir contact, production improvement, well assurance over the life of the well…..these are more difficult equations to solve. Elimination of trouble is one specific equation that fits squarely in the advanced math category, a place where some bright technologies go to die…. Mr. Dow, BSc Engineering, University of New Brunswick, Canada, 1993, skipped his graduation ceremony and joined Anadrill in Western Canada as an MWD engineer. In 1994 he started directional drilling. Good fortunes presented an opportunity to work in the Norwegian and Dutch North Sea for a year, preparing him for offshore Eastern Canada, where he spent 3 years on the Hibernia Platform. After his field career, he’s focused his attention on client drilling challenges in many different capacities with Schlumberger. The past 8 years, he’s focused his attention on MPD engineering, applications and technology development. He’s been actively involved in SPE and IADC for the past 10 years, writing papers, serving on committees, and sharing ideas with passionate drillers. The turn of the 21st century brought about more affordable sensors, field automation and process control technology to the industry. The turn of the 21st century brought about more affordable sensors, field automation and process control technology to the industry. At the time, the industry was enjoying high oil prices, although natural gas prices were declining due to major new supply discoveries in the Marcellus/Utica. New capital projects were designed, which collected large volumes and varieties of data. The availability of more data drove advances in workflow solutions that combined near-real-time data with structured data in order to produce the first predictive analytics solutions. This placed decision support for offshore drilling of complex wells, directional drilling for horizontal wells, equipment health for critical rotating equipment, water flood and steam flood optimization – onshore, at your fingertips, where your company experts lived. The arrival of more, real-time systems and different varieties of data stressed the traditional data infrastructure. Data marts, federated or virtual architectures, and workflow orchestration were some of the approaches tried to enable these new workflow demands. This was in the midst of a high-price environment. A good business case could be made to increase production now, or add reserves to produce later. The focus was on volumes, not cost. Projects were scaled down or abandoned once the bottom dropped out of the oil market; turning the focus to cost reduction. Expiration: This course expires 12 months from date of registration. Jim retired from Chevron in 2013 after almost 37 years. After moving to Colorado Springs, Colorado, Jim established the Reflections Data Consulting LLC to continue his work in the area of data management and analytics for the Oil & Gas industry. 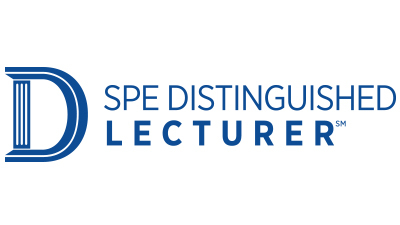 Jim was a Distinguished Lecturer for the Society of Petroleum Engineers in 2010-2011, speaking on the topic of “Putting the Focus on Data.” He is a frequent speaker at SPE conferences on Digital/Intelligent Energy. His interests lie in the full spectrum of the information value chain from data capture, data management, data visualization, data access, modeling and analytics, simulations and serious gaming. In acknowledgement of his contributions in applications of information technology to business problems, Jim was named a Chevron Fellow in 2002. In 2013, Jim co-authored a book, titled The Future Belongs to the Digital Engineer with Dr. Dutch Holland, focusing on the issues of the impact of emerging digital technology on oil and gas operations. In 2017, Jim was named as the PNEC Cornerstone award winner. Jim was selected to be on the board of the SPE Digital Energy Technology Section (DETS) and is chair of the Digital Transformation committee under DETS. Starting January, 2018, Jim teaches a graduate level course in “Petroleum Data Analytics” at the Colorado School of Mines. 1.1 CEUs and 11 PDHs offered. Data volume is exploding — more than 90% of today’s data was created in the last few years, and there is an exponential increase in new types of data, with mobile, social media, video, and the Industrial Internet of Things adding to the growth of seismic, reservoir, drilling, production, and engineering data. Data volume is exploding — over 90% of today’s data was created in the last few years and there is an exponential increase in new types of data, with mobile, social media, video and the Industrial Internet of Things (IIoT) adding to the growth of seismic, reservoir, drilling, production, and engineering data. 0.4 CEUs and 4 PDHs offered. This online training course will take an introductory look at the opportunities, challenges and specific requirements for petroleum data analytics for the energy industry. The impact of digitization has profoundly affected the energy industry, including the oil and gas industry (Digital Oilfield), supply chains and utilities (smart grids). More data is available from the field and process instrumentation and control systems than ever before for detailed analysis to improve decision making at all levels, from the field to remote decision support centers to the boardroom. The Digital Oilfield is a reality but it is also evolving with the application of data science techniques. While oil prices have recovered from recent lows, the threat of a return to lower commodity prices are driving the need to improve productivity and efficiency of operations (operational excellence), to the existing drivers of a safe and environmentally benign operations footprint. These drivers along with the need for effective recovery of reserves, at an attractive return on investment for shareholders are the current focus of industry leaders. Click on the "content" tab above to get individual details for each course. You may register for the entire series or each course individually. Presented by Jim Crompton, Reflections Data Consulting/Adjunct Professor, CO School of Mines. 1.9 CEUs and 19 PDHs offered. Analytics is not new to the oil & gas industry. From the early days of seismic acquisition and processing, well log interpretation and reservoir simulation, industry experts have used various techniques up to the limit of existing computer power, to analyze and model data recorded in the field to make better decisions. Analytics is not new to the oil & gas industry. From the early days of seismic acquisition / processing, well log interpretation / reservoir simulation, industry experts have used various techniques that tested the limits of existing computer power in order to analyze and model in-field data to make better decisions. However, with the advent of Big Data (increase in volume, variety and velocity), high performance computing, advanced statistics and artificial intelligence, data analytics’ capabilities for petroleum engineering and earth science have grown exponentially. With excerpts taken from the 2018 Hydrocarbon Economics and Evaluation Symposium, this course provides an overview of the key changes in the 2018 Update, practical examples for interpreting common issues, and usage of the PRMS in regulatory environments. Dan has 33 years of global industry experience and has been employed by Shell International, Total E&P and Encana in various engineering and management roles in development, operations, country management, business development, reserves, and reservoir engineering. Dan holds BS and MS degrees in Petroleum Engineering from Louisiana State University. Dan is a member, and prior chair, of the SPE Oil and Gas Reserves Committee (OGRC) since 2011 and was recently lead of the PRMS Update subcommittee. He has served as SPE’s representative to the United Nations on classification of resources (UNFC), and various committees for resource evaluation ATWs. Mr. Harrell is a Petroleum Engineering graduate of Louisiana Tech University and continues as Chairman Emeritus of Ryder Scott Company, Petroleum Consultants. Ron remains active in the industry as a licensed engineer in three states and serves on several Management and Advisory Boards including corporations, not-for-profit organizations and three universities. He is a Senior Advisor to RSK(UK)LTD, Board member of eCORP International plus Energy Advisory positions for The Carlyle Group and Morgan Stanley private equity energy divisions. He is a founding member and immediate past Chairman of the UH Petroleum Engineering Advisory Board and an active member of the UH Subsea Engineering Program since its formation. Further, he is a founding member and Vice Chairman of the College of Engineering Advisory Board for Houston Baptist University. Society of Petroleum Engineers (SPE) awards include the Legion of Honor (2007), Gulf Coast Section Reservoir Description and Dynamics Award (2007), SPE Distinguished Member Award (2007), SPE – AIME Mineral Economics Award (2009) and the Gulf Coast Section Public Service Award (2012). He served as an SPE Distinguished Lecturer in 2007-2008 delivering 34 lectures in 17 countries. He remains a member of SPE’s Distinguished Lecturers Selection Committee and is a peer reviewer for SPE M&I technical papers. Further, he serves as SPEE’s Observer on the SPE Oil & Gas Reserves Committee (OGRC). Ron has provided expert engineering testimony before several regulatory agencies in Washington D.C., Arkansas, Florida, Louisiana, Mississippi and Texas as well as US Federal Courts in Washington D.C., Alaska, California, Colorado, Louisiana, Kentucky and Texas. He has testified before state courts in Alabama, California, Kansas, Louisiana, Mississippi, Oklahoma, Texas and West Virginia. He has testified in International Chamber of Commerce arbitrations involving petroleum reserves and resources in North America, Italy, Jordan and Turkmenistan. Prior to joining Ryder Scott in 2001, Dan served as a manager of the energy consulting group of PricewaterhouseCoopers, engineering manager of Wintershall Energy, as well as reservoir and drilling positions with Tricentrol Resources and Cities Service Oil Company. He received his BS in petroleum engineering at West Virginia University and an MBA from the University of Houston. At Ryder Scott, Olds has worked on projects on a world-wide basis, with responsibility for evaluations done to SEC, PRMS, and NI-151 standards. He is responsible for projects in the far east and middle east, as well as North America. He is a member of the audit groups of several major oil companies, as well as working with several national oil companies. Olds is a licensed engineer in the state of Texas, a past president of the Society of Petroleum Evaluation Engineers and a current member of the SPE Oil & Gas Reserves Committee (OGRC). He served on the OGRC subcommittee that was responsible for drafting the current version of SPE-PRMS. Mr. Seager is a reservoir engineer with over 45 years of experience in the international oil and gas arena and has carried out numerous field studies, reserves assessments, and asset evaluations. He has also given expert testimony during arbitration hearings. Throughout his career, Rawdon has been deeply involved with the proper evaluation and reporting of oil and gas reserves and resources, a subject on which he now provides clients with advice and training. Rawdon has spoken at various industry events as well as presenting in-house and public courses to clients on matters relating to reserves estimation, classification and reporting. He is currently based out of Houston at Gaffney, Cline & Associates’ western hemisphere headquarters, where he is Chief Reservoir Engineer as well as Global Director of Quality Assurance. Rawdon began his career in 1972 as a Petroleum Engineer with Shell International in Malaysia, Brunei, the Netherlands and Australia. In 1980 he joined Roy M. Huffington, Inc. in Indonesia where he became Petroleum Engineering Manager, before joining GCA in 1985 with whom he has held senior positions in the United Kingdom, Singapore, Argentina, Venezuela and the USA. He has a BSc (Honors) in Physics from Bristol University, England and an MSc (Distinction) in Petroleum Reservoir Engineering from Imperial College, London. Rawdon is a member of the SPE (Past-Chairman of the Oil and Gas Reserves Committee), SPEE (past member of the Board of Directors and current Vice-Chair of the Reserves Definitions Committee), the American Association of Petroleum Geologists and the UK Energy Institute. He is a Chartered Petroleum Engineer in the UK and is registered as a European Engineer with FEANI. 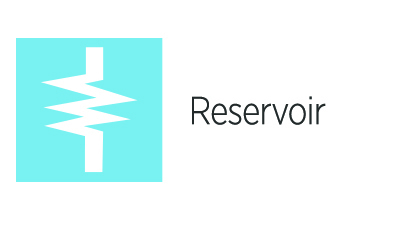 Head of Reservoir Engineering, CC Energy Service Inc.
Mr. McCants has over thirty-eight years of experience working in various positions of increasing responsibility. He is currently the Head of Reservoir Engineering at CC Energy Service Inc. Prior to that he held positions in Occidental Petroleum Corporation (Oxy) as Chief Subsurface Manager for the Mid-Continent Region, Director of Reserves and worked in the Corporate Reserves Group. Additionally, he worked for Altura Energy, a limited partnership formed in 1997 through a combination of the former Amoco Corporation and Shell properties in the Permian basin. He began his career with Amoco Production Company. Steve has a B.S. in Industrial Engineering and is a member of the Society of Petroleum Engineers (SPE) serving in many positions in the Gulf Coast Section, including Chairman, and now serves as the Oil and Gas Reserves Committee (OGRC) Chairman for SPE. Dr. Quintero was President of the Society of Petrophysicists and Well Log Analysts (SPWLA) from 2016-2017, Vice-President Technology and the recipient of the Medal of Honor for Career Services of SPWLA. Prior to joining Halliburton, he worked as President and Technical Leader of Oilfield Development Specialists (ODS). He obtained a B.S. in Electronic Engineering from Universidad Simon Bolivar (Venezuela), and M.Sc. and Ph.D. degrees in Petroleum Engineering from Louisiana State University. Luis started his career in 1984 as a wireline engineer in Bhubaneswar and Assam in India (offshore and onshore). He later advanced to positions in petrophysics, reservoir engineering, business development, financial analysis, project management and production management in over 40 countries. Luis is currently a member of the Oil and Gas reserves Committee (OGRC), a member of SPE's Legion of Volunteers, has been a Technical Editor of SPE Reservoir Evaluation, and the winner of SPE’s International PhD Student Contest. Throughout his career he has had the privilege of offering his thoughts about the oil and gas industry in keynote speeches in India, Colombia, London, Houston, Japan, Kuwait, Nigeria, and Saudi Arabia. Dr. Quintero has written for the World Energy Monthly Review and offered TV interviews in the UK, Azerbaijan, and Colombia. Mr. Gadgil has a Bachelor’s Degree from the Indian Institute of Technology Bombay and a Master’s degree from Rice University in Chemical Engineering. He has 37 years of petroleum industry experience in a variety of roles. Abhijit began his career with Mobil Oil in 1981, gaining increased levels of responsibility in the US and overseas. He worked for 11 years in UK and then in Germany in management positions in reservoir engineering and reservoir development. He returned to the US in 1997 as Manager of Corporate reserves. He continued his career with ExxonMobil in 2000 also as Manager of Corporate reserves. In 2013 Abhijit joined BHP as their Head of Petroleum Reserves. In his career across Mobil, ExxonMobil and BHP, Abhijit was the manager of Corporate Petroleum reserves for 20 years. Abhijit has been a member of the Society of Petroleum Engineers (SPE) for 37 years. He served on the board of the SPE Oil and Gas Reserves Committee (OGRC) from 2004 to 2007 and continues to be active in the OGRC. Dr. Chakravarty holds a BS in Mechanical Engineering and a PhD in Computational Fluid Mechanics and Heat Transfer, both from Imperial College in London. In his 31 year career at Chevron he has held various positions including working offshore in the North Sea as a production engineer, managing NOJV teams in the UK, leading Simulation Consulting teams in San Ramon and Aberdeen, and more recently working in the Global Reserves as Chair of Europe, Eurasia and Middle East. He is a longstanding SPE member and recently served as a member of the SPE Oil and Gas Reserves Committee (OGRC). Mr. Young has been involved with resource management activities for more than 30 years in his professional career with BHP, ExxonMobil and Mobil. He graduated in 1977 with a Bachelor of Applied Science degree from the University of British Columbia. He has served multiple terms on the SPE Oil and Gas Reserves Committee (OGRC) and also served as Chairperson of the OGRC. He has been a contributor to the 2007 and 2018 PRMS and the companion Application Guidelines published by the SPE in 2001 and 2011. He is currently lead of the SPE Examples subcommittee. 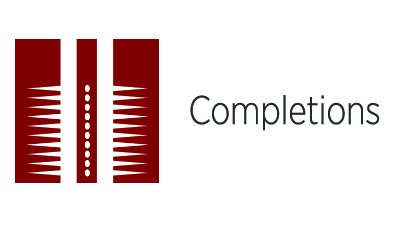 Paul currently works for ConocoPhillips in the corporate investment and evaluations group. He has worked 32 years with ConocoPhillips in various locations (Europe, Middle East, Asia, and North America). His expertise is asset optimization, reservoir management and reserves and resource evaluation. He graduated with a Master's degree in Petroleum Engineering in 1987 from LSU. Paul has been active in SPE and served on the Oil and Gas Reserves Committee (OGRC), contributed to the recent version of Petroleum Resources Management System (PRMS), and is currently on the CO2 Storage Resources Management System (SRMS) committee. John holds BS, MS and PhD degrees in chemical engineering from the Georgia Institute of Technology. He worked for ExxonMobil early in his career and specialized in integrated reservoir studies. He later joined the Petroleum Engineering faculty at Texas A&M, and became Regents Professor of Petroleum Engineering. While at A&M, he also served as a consultant with S.A. Holditch & Associates, where he specialized in reservoir engineering aspects of unconventional gas resources. He joined the University of Houston faculty in September 2011 and held the Cullen Distinguished University Chair until September 2015, when he rejoined the Texas A&M Faculty. He served as an Academic Engineering Fellow with the U.S. Securities & Exchange Commission (SEC) in Washington during 2007-2008, and was a principal architect of the modernized SEC rules for reporting oil and gas reserves. He and his team received the SEC’s Law and Policy Award in 2009. John is the author/co-author of four textbooks published by SPE and has received numerous awards from SPE, including the Lucas Medal, the DeGolyer Distinguished Service Medal and Honorary Membership. He has received Distinguished Achievement and Honorary Life Member Awards from SPEE. He is a member of the U.S. National Academy of Engineering and the Russian Academy of Natural Sciences. Mr. Gardner joined BBVA Compass in 2012, bringing four decades of petroleum engineering experience in domestic and international upstream project evaluations. He previously worked for El Paso E&P (now EP Energy), DeGolyer and MacNaughton, Williams Energy, and Schlumberger. He has reservoir and project management experience domestically and internationally, and is skilled in economic and government reserves reporting. He has led diverse personnel groups that have included engineers, geologists, business analysts, and IT professionals. Steve earned a B.S. in Mechanical Engineering from California Polytechnic State University San Luis Obispo California and an M.S. in Petroleum Engineering from the University of Houston. He is a 35+ year member of SPE and served on the Oil and Gas Reserves Committee (OGRC) on the 2017-2018 update to PRMS – also a member of the Society of Petroleum Evaluation Engineers (SPEE) and a registered PE in Texas. 0.5 CEUs and 5 PDHs offered. The practice of hydraulic fracturing has come under increased scrutiny in recent years for a number of reasons. One technology developed to address the technical inefficiencies of fracturing also answered many of the environmental concerns. In 2008, fracturing with gelled LPG as an alternative to water was introduced to the industry to enhance well performance. LPG offered a non-damaging fluid which originally came from the reservoir itself. Due to its favorable viscosity, miscible, surface tension, and phase behavior properties, longer effective fracture lengths and fluid recoveries approaching 100% were envisioned. Furthermore, it eliminated the use of water and the related water handling costs and long term disposal issues. Today this technology/service is no longer available to the industry as the sole provider has left the market. This presentation will review the hypothesis of why LPG is an ideal fracturing fluid and share historical successes, failures, and lessons learned along with ongoing efforts to advance the next generation of light hydrocarbon fracturing. Ideally members will take away a greater appreciation of the successes associated with LPG fracturing and an understanding that the business failure was not due to the technology but to its misunderstanding and misapplications. Mr. Lestz is a petroleum engineer with 34 years of industry experience. He co-invented the LPG Fracturing technology and worked at GasFrac as their CTO. He spent 22 ½ years at Chevron working in the areas of fracturing, artificial lift, completions, and well operations. He holds 5 patents and has additional patents pending. He previously served on the Petroleum Technology Transfer Council’s Board of Directors, the US DOE Oil Shale Ad Hoc Group, ICoTA US Chapter President, the advisory board of the University of Utah Institute for Clean and Secure Energy, and a SPE Distinguished Lecturer. Storage: The New Frontier of Integrity – What’s in it for Oil and Gas? Underground storage is currently a 100-year-old industry and integrity has always been at its heart. Are there some lessons to take home for oil and gas? In many Oil and Gas projects, the asset’s life can be related to reserve depletion. This is not so with storage facilities. Maintenance of aging infrastructure, together with the economic benefit versus cost, are the main drivers for defining storage lifetime. In natural gas storage, for instance, depleted reservoirs are cyclically-pressured up and down according to injection/withdrawal volumes and rates. Pressure in these reservoirs is sometimes increased above the original formation pressure. Storage sites have to sustain repeated cyclic and, sometimes, erratic loadings for many years and there is no fixed lifetime or sell-by date. What is great about storage is that there are plenty of published data to baseline and benchmark integrity performance. Oil and gas integrity regulations (NORSOK D-010, ISO 16530) brought the integrated view, management and systematic approach to decide when a well can be safely operated. What are the right questions to ask about the integrity of a storage facility? How do you baseline reservoir and well integrity for a monitoring period that could potentially be as long as 100 years and obtain consistent results through time? What are the forthcoming challenges and new frontiers? What lessons learnt or upcoming challenges can be shared with Oil & Gas projects? Mr. Bonnier started with Geostock in 2009 and is currently the drilling and completions team leader where he has been driving Well Integrity since 2013. Geostock is an international company specializing in consultancy, engineering, design, construction management, operations and maintenance services for underground storage facilities. In his previous career, Nicolas worked as a drilling and project engineer for Schlumberger IPM and the EPC contractor Eiffel Offshore. He holds an MSc in Petroleum Engineering from Imperial College, London, UK, and from the School of Mines, in Nancy, France. He is an SPE member. Leadership is always important in any strategic program, but is the leadership challenge in a digital world any different that in safety or operational excellence programs? To ensure global viewpoints and perspectives are considered, these interviews will feature top industry leaders who are developing and adopting digital solutions. Greta currently serves as Managing Director of Chevron Upstream Europe’s (CUE) Business Unit (BU). Headquartered in Aberdeen, Scotland, CUE manages exploration and production in the UK, Norway, Denmark and Greenland. Greta earned her Bachelor of Science degree in Geology from Allegheny College and a Master of Science degree, in Geophysics from Boston College. She began her career with Chevron in 1982. Prior to joining CUE, Greta served as Vice President of the San Joaquin Valley BU, responsible for Chevron’s oil and gas production in California with core operations in eight field locations. Greta has previously held the position of President of Chevron Environmental Management Company (EMC). EMC provides environmental liability management and decommissioning services for Chevron in over 50 countries around the world. Projects include well, offshore platform and pipeline decommissioning and abandonment, site remediation and cleanup for refineries, service stations and terminals. Over her career, Greta also held a variety of technical positions and roles in Gas Marketing, Corporate Planning and Finance, Asset Development, Drilling and Operations. Greta served on Chevron’s Capital Stewardship Organisational Capability Design Team, and in her role as General Manager of Operational Excellence (OE) for Chevron Corporation, guided the overall strategic direction of OE including the implementation of the company’s OE management system.